Our Full Day Cape Winelands tour takes you to the Cape’s best wine estates including Stellenbosch, Paarl and Franschhoek. The delightful drive winds its way to the heart of the Cape winelands, through superb mountain ranges, vineyards and Cape Dutch homesteads. 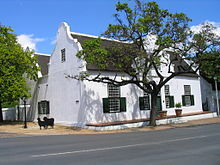 The Full Day Cape Winelands tour commences heading north to one of the Cape’s first farming districts – Paarl. The town is set at the foot of the cluster of remarkable granite domes from which it takes its name. Next is Franschhoek with a photo stop at Groot Drakenstein Prison where Nelson Mandela was released in February 1990. Franschhoek, nestled amongst the mountains, can easily be mistaken for a village in Switzerland. Franschhoek dates back to the 17th century when the French Huguenots arrived; billed as the Gourmet Capital of South Africa, this charming town, retains a French Huguenot style. After a short tour of the little town, a second wine tasting will take place in Franschhoek, followed by a lunch stop (optional, on own account), and maybe a chance to try some of the fresh trout which Franschhoek is known for. In the afternoon our Full Day Cape Winelands tour continues over the Helshoogte Mountain Pass to Stellenbosch. It is easy to understand why Simon van der Stel decided to settle a village amongst the mountains. 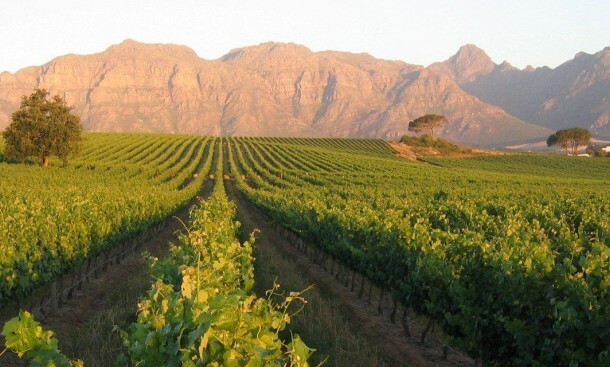 Stellenbosch is the heart of the South African wine industry, boasting great beauty and culture that is steeped in South African history. Walk down the canal-lined avenues, in the shade of giant oak trees and beautifully preserved historic buildings. Coffee shops, galleries, antique shops and wine bars spill onto the sidewalks. An air of quiet intellectualism and wine-making history abounds in this university town. With the sheer vastness of wine estates on offer, we are truly spoiled for choice when we enjoy our final wine tasting of the day in Stellenbosch, time permitting of course!